British Columbia has shocking geological features: white-water rivers, glacier-tipped mountains, alpine lakes and endless evergreens offer a natural playground for outdoor explorers. But we’d be amiss if we didn’t mention the province’s natural hot springs. 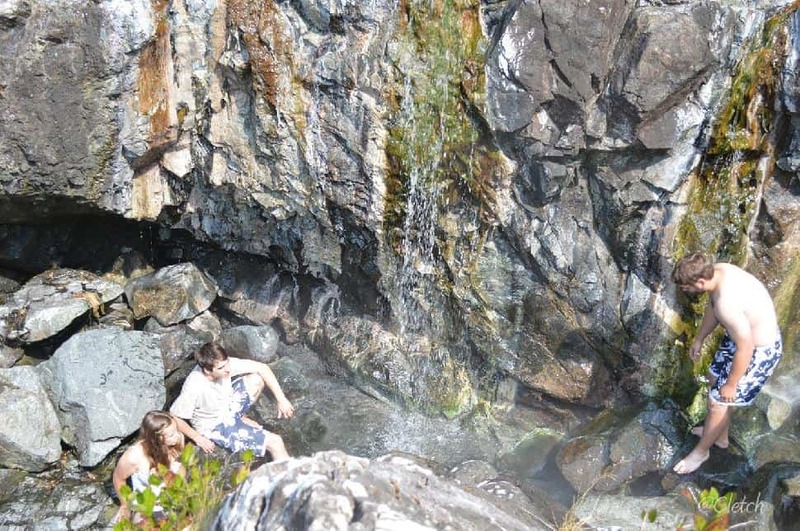 Hike, swim, paddle and 4x4 to these all-natural pools of warm, rejuvenating water in BC. With social media inspiring more people to venture to places off-the-beaten path, it’s more important than ever to take care of them. Follow Leave No Trace ethics, cart out any garbage you see (even if you didn’t bring it in) and implore fellow hot spring hunters to do the same. Let’s keep these beautiful places natural for generations to come. Note: some of these hot springs tend to be “clothing optional.” If you’re uncomfortable with that, it may be best to stick to a man-made hot spring pool, such as Ainsworth or Harrison. Water burbles into a concrete tank at this hot spring in Gibson Marine Provincial Park. However, it’s not for the casual explorer: this outdoor bath is accessible by boat or air only. If you have extra time, relax at the nearby beaches and rustic campsites or go for a hike in the area. Armed with a few solid maps, you can find the trailhead for the nine-kilometre hike to the hot springs in Purcell Wilderness Conservancy Provincial Park. Elk, deer, goats and moose like to enjoy this area, too, so be prepared to share. The rich mineral pools are crucial for local wildlife, so don’t disturb the area, and consider finding a separate place to soak—instead, just enjoy the view. Hotspring Island is found on Haida Gwaii in Gwaii Haanas National Park Reserve, National Marine Conservation Area Reserve and Haida Heritage Site. These hot waters have been used for traditional medicinal purposes to nourish the body and soul. Watchmen look over these newly rebuilt pools where visitors can soak in both the water and the views. Tofino travellers can hire a boat or rent kayaks to cross the water to Maquinna Provincial Park. From there, hike the 1.5-kilometre boardwalk to these very hot natural jacuzzies. The salty ocean sprays over tidal pools, cooling off unsuspecting soakers. There’s even a steaming hot waterfall for the best natural shower you’ll ever find. Located north of Whistler, these hot springs became famous on social media, nearly ruining them for explorers. Human garbage has attracted grizzlies to the area, forcing officials to close the hot springs in peak season. Signage on site declares whether the hot springs are open—heed the warnings to avoid a bear encounter. Way up in northern BC near Kitimat, you’ll find Weewanie Hot Springs Provincial Park. Access to the 38-degrees-Celsius water is by boat only. Once you’re there, you’ll find a pit toilet, campsite, picnic area and bath house for soaking. Two pools with temperatures ranging from 42 to 52 degrees Celsius warm up Alaskan-bound explorers who venture into the wilderness of northern BC. 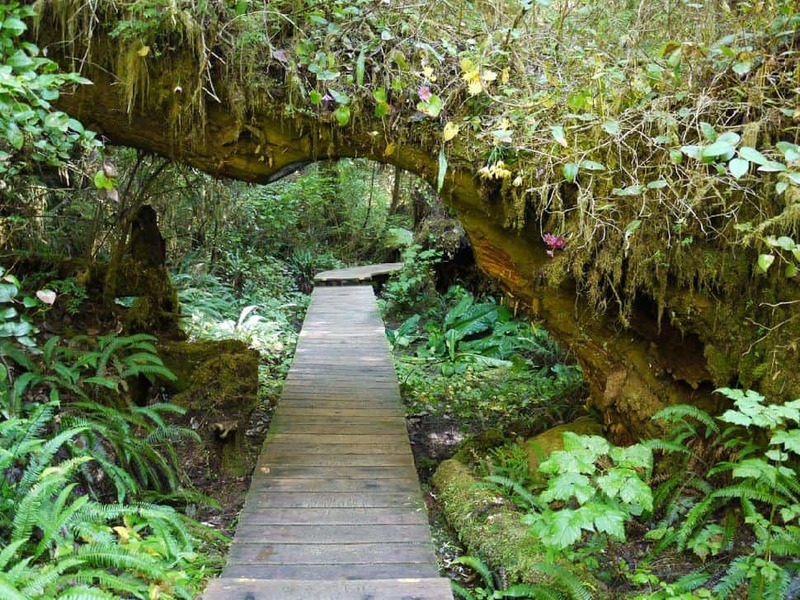 Hike through the trees along a boardwalk and over a swamp to the change house and pools for a long, quiet soak, then retire to the year-round campsite for the night. Note: there is a $5 day-use fee. 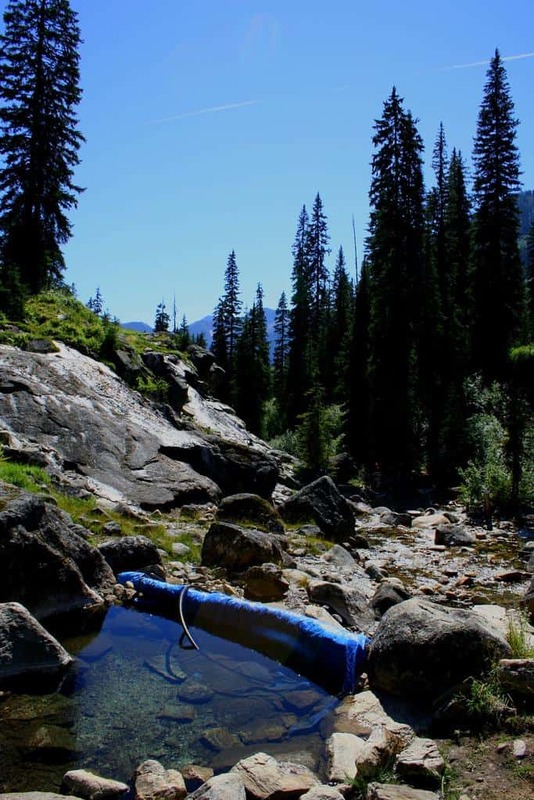 Venture to Whiteswan Lake Provincial Park to find these undeveloped hot springs. The mineral pools can be found near the park entrance at kilometre 17.5 on the Whiteswan Forest Service Road. Four-wheel drive, mud tires and good hiking boots are highly recommended! Note: swimwear is required in these pools. Halfway Hot Springs and St. Leon Hot Springs are two of the best natural pools in the country. Accessible from Nakusp in the Kootenays, bring a reliable map to find the logging roads that lead to the river. Then, be prepared to hike down a steep descent to the water. 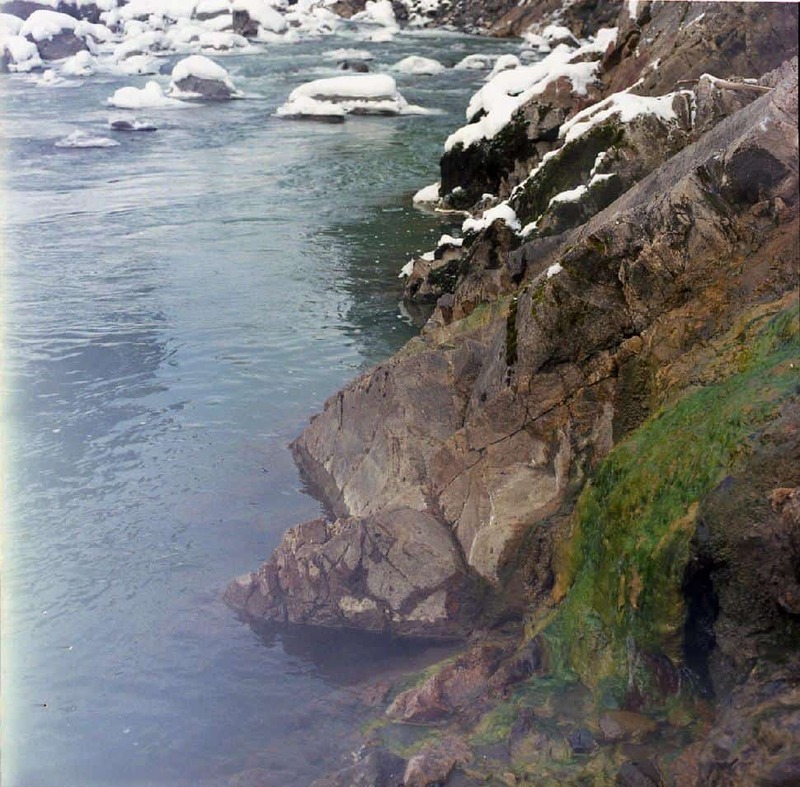 Once you’re there, though, it’s all worth it: steaming water locked in by smooth stones awaits next to the frigid river. Soak and stay awhile. 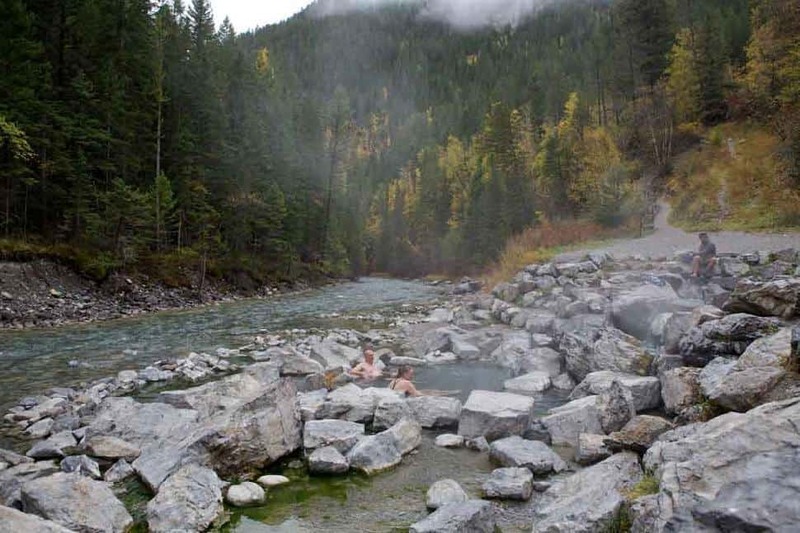 Located in northeastern BC, Prophet River Hot Springs is accessible by hiking, horseback or helicopter. Surrounded by the breathtaking Eastern Muskwa Range, the scenic vistas, hot springs and wildlife viewing opportunities are simply bonuses to supplement the adventure of getting there. What is your favourite hot spring in Canada?